Home Blog What Makes the Baja Fresh Franchise Opportunity Different? What Makes the Baja Fresh Franchise Opportunity Different? Starting a Mexican franchise is an exciting investment opportunity! Over the decades, Mexican food has become increasingly popular in the United States. Foods like burritos and nachos stand side-by-side with pizza and burgers as time-tested American favorites. However, when starting any new business, it’s important to choose a concept that stands out from the competition. There are many differentiators that make Baja Fresh unique in the industry. Let’s take a look at a few of the ways we’ve set ourselves apart. For years, Mexican food in the United States has been dominated by greasy, canned, generic dishes that often bear little resemblance to food that’s actually eaten in Mexico. Baja Fresh set out to change that in 1990. Our Baja-inspired menu uses only the best ingredients, and freshness is so important to us we put it in our brand name. We don’t use freezers, so all of the meats and vegetables are fresh! Baja Fresh franchises make our salsa fresh daily, and never use the stuff in a can. Customers are always astounded when they taste the difference between our food and that of our competitors. Our uncompromising dedication to quality and freshness is one important thing that sets us apart. Unlike other Mexican franchise brands, flexibility is built into the Baja Fresh investment. You can choose to open either a large, traditional restaurant with features like a patio and spacious indoor seating, or a Baja Fresh Express location that focuses on carry-out. Both of these location types have found success in the past, but the level of investment for each is unique. You’ll decide what kind of Baja Fresh franchise you’d like to start depending on how much you’d like to invest. But don’t worry – our expert team will be there to help you weigh the pros and cons of each. Every franchisor will boast that they’ll be there to support their franchisees, but the level of support that’s actually provided will vary wildly. 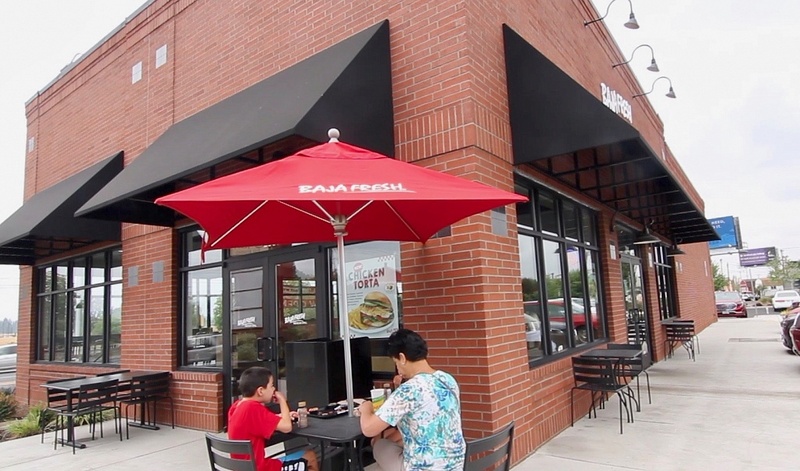 Baja Fresh values consistency in our restaurants, and we believe that our streamlined and time-tested business model is what’s helped us to achieve growth and success throughout the years. We want our franchisees to do well, so we invest significant time and resources into helping them master our procedures. Classroom training at our headquarters and one-on-one time with our operations team e right in your location are just the tip of the iceberg. We also help our franchisees to launch a targeted marketing campaign, spreading the word about their new Baja Fresh franchise in their community. Our cache of ready-made marketing materials makes it easy to implement new campaigns in the future. We provide franchisees with an easy-to-use point of sale system that makes record keeping and individual transactions a breeze. Conference calls and ongoing education help our franchisees to stay on top of the latest trends and developments in our industry. These are just a few of the many ways we consistently work to support our franchisees before and after they open their doors. These are just a few of the reasons that the Baja Fresh franchise opportunity is different! Check out our training page to learn about the comprehensive training we provide that complements our support program.